LOCATION LOCATION LOCATION! This fabulous home is located in the Deltona Country Club area and only minutes away from the golf course and is also on over 1/3 of an acre with beautiful landscaping. This established neighborhood is well sought after. Features include a Brand New "Energy Star" Architectural Shingled Roof installed with permit in January 2019 with warranty. New gutters and downspouts were also installed. This home features an over sized and extra long driveway for additional parking for all of your friends and family. This block home has been well maintained and includes tons of cabinets in the garage for extra storage. The floor plan features 2 full bedrooms and 2 bathrooms with the perfect spot to add a 3rd bedroom right off the kitchen. 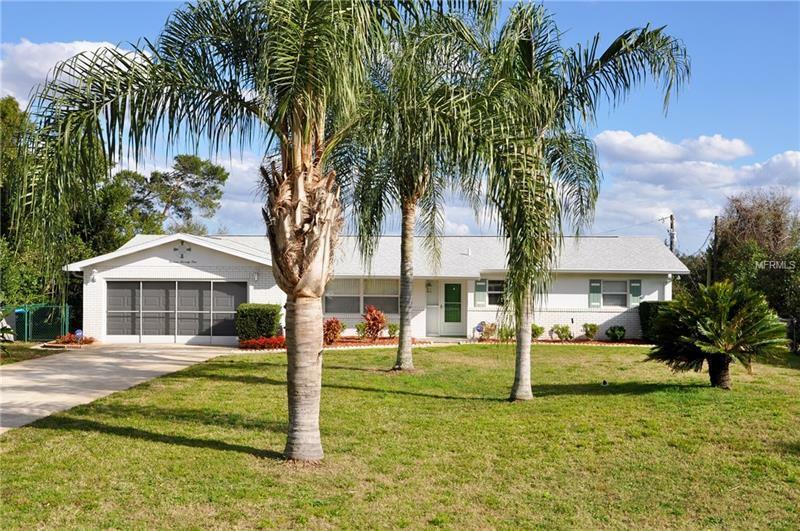 Additional features include a large rear lanai or Florida room, newer double pane windows, water purifying system, irrigation system, brand new Bosch dishwasher, washer and dryer, and even a generator hook up wired to the electrical panel in the garage. Don't miss out on this opportunity to own a home in this neighborhood because you need three bedrooms, this can be easily accomplished so take a look today.